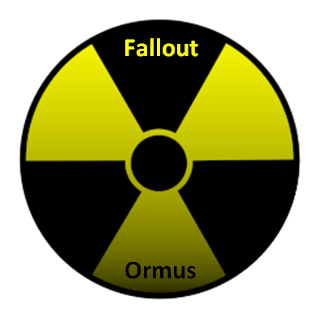 This Ormus is made from the best herbs for radiation detoxing and longevitity. Dr. Fred Bell always said the 3 best were Fo-ti, Ginseng and Gotu Kola. So I took fresh leaves and roots of all three and added them to warm freshly charged lightning water to make a tea. Then I added Dead Sea Salt and mixed it all up. Finally I added natron (baked baking soda) and mixed it up again. After letting it settle and washing it 3 times, its now ready for use. PROTECTION FOR THE IMMUNE SYSTEM At the University of Michigan, they studied test results from the Hiroshima and Nagasaki atomic bombs of World War II, and found certain people who were close to ground zero to the radiation had no radiation long-term genetic damage; whereas people 40 or 50 miles away who had received a lot less radiation, were either sterilized or had genetic damage that they would pass on to their children. They discovered that a high level of electrolytes like sodium, potassium and phosphorus and the herbs, fotai, ginseng and gotu kola protect against radiation. As a matter of fact, fo-ti, is one of the most powerful herbs you can put in your body. If your hair starts to turn grey, fo-ti will turn it back to its natural colour again. Did you know…that the longest-living man’s secret to longevity was the use of two best herbs, ginseng and fo-ti, for health benefits which deliver the “elixir of youth” effect? Li Ching-Yun, resident of the Kaihslen region in the province of Szechwan, was a Chinese herbalist, martial artist and former university professor who had the longest confirmed lifespan in history. He lived to be 256 years old (1677-1933). According to the book, Nature’s Medicines (Wilshire Book Company), “Li’s longevity was due to his strictly vegetarian diet, his calm and serene attitude toward life and the fact that he used two powerful rejuvenating herbs prepared as teas.” One of the herbs was ginseng, and the other was fo-ti. Ginseng is a sweet-smelling herb native to China, Russia, North Korea, Japan and some areas of North America. The herb is usually referred to as panax ginseng (panax is the Greek word for panacea, which means “all healing”). Ginseng roots are also called Jin-chen, which means “like a man” because they resemble the shape of the human body. Ginseng, one of the best herbs, has been used as an all-around herbal remedy for more than 7,000 years, and it has had widespread use since the 18th century. The herb has grown in popularity in recent years ever since scientific research studies showed ginseng’s remarkable health-enhancing and anti-aging abilities. While ginseng is generally thought to be an Asian herb, originally produced in China and Japan, American ginseng is now considered the most potent. Grown primarily in Wisconsin, American Ginseng appears to offer the most powerful health benefits compared to other varieties. Dysfunctional Immune System — helps give your immune system a boost and strengthens your resistance to colds and flu, autoimmune diseases, etc. Chronic Fatigue Syndrome — enhances the production of adenosine triphosphate (ATP) in the cells, thereby supplying the body with energy and relieving chronic fatigue and tiredness. Because of its wide variety of healing properties, such as natural blood thinners and immune system stimulants, ginseng is frequently used to fight cancer, diabetes and cardiac disease. 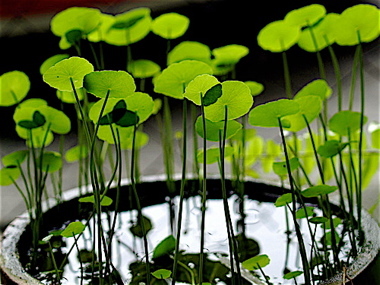 The other best known herb, Fo-ti, also called he shou wu or ho-shou-wu, is the dried tuberous root of the plant Polygonum multiflorum, an herbaceous climbing vine that is a native of Japan. The plant has seen widespread use as a folk remedy in China and other Asian countries. Fo-ti should not be confused with the herbal mixture that is marketed as Fo-ti-Tieng. Fo-ti-Tieng is actually a registered trademark representing a product that combines 3 herbs (gotu kola from India, meadowsweet from Europe, and kola nut, an African herb, which has also been cultivated throughout the tropics). The root of the 50-year-old plant is called “mountain slave:” taken for a year, it will preserve the black color of the hair. The root of the 100-year-old plant is called “mountain brother:” taken for a year, it will bring a glowing complexion and a cheerful disposition. The root of the 150-year-old plant is called “mountain uncle:” taken for a year, it will rejuvenate the teeth. The root of the 200-year-old plant is called “mountain father:” taken for a year it will banish old age and give the power to run like a deer. The root of the 300-year-old plant is called “mountain spirit:” taken for a year, one becomes an earthly immortal. For over four centuries, ho-shou-wu has been regarded in China as a reliable safeguard against old age. Fifty-year-old and 300-year-old wild ho-shou-wu plants are very rare these days, and the herb is presently cultivated and collected after 3 to 4 years growth. Perhaps hou-shou-wu’s claim to fame is that it maintains the hair’s original color — that is, it prevents premature graying and hair loss. This is attributed, in part, to the herb’s tonic effects on the kidneys and liver. According to traditional Chinese medicine theory, the condition of hair (on the head) is governed by the kidneys and nourished by the blood in the liver. Once you've read these gotu kola facts, you'll understand why it is known as one of the most psychic and spiritually transformative, adaptogenic herbs. To help you remember most of these gotu kola facts, just keep in mind the shape of it's leaves. According to the law of signatures, could you perhaps intuitively guess that gotu kola benefits the brain? Much like how the ginkgo biloba leaf is shaped like and affects the brain, gotu kola benefits and is shaped like a brain as well. Many of the scientific gotu kola facts I mention in this article match up with these traditional intuitive findings. This herbal adaptogen is most often pronounced gotu kola, but some people will also say gota kola. 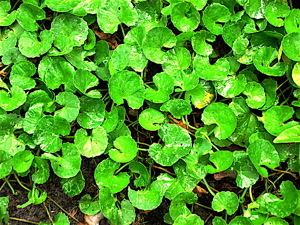 It's latin name is centella asiatica and it is also known as Indian pennywort. Originating in India and revered by yogi's as a powerfully mystical anti-aging herb, all of the following gotu kola facts are tonic effects, meaning that it can be safely consumed for long periods of time without negative side effects. However, even with tonic herbal adaptogens, it can be helpful to rotate your usage of them by taking a few days or even one week off of them for every 2-4 weeks that you've been on them. This prevents your body from becoming "bored" with the adaptogenic herbs that you are taking and no longer getting the full benefits from them. As you can see, the above medicinal properties, that were determined through double blind testing, are very similar to the traditionally intuited gotu kola facts. By examining both perspectives (right and left brained perspectives that is, interestingly enough gotu kola is said to balance these out in the brain ;p) we can get the best idea of how gotu kola benefits health and longevity in humans. One of the most amazing gotu kola facts is that it enhances the connective tissue through stimulating glycosaminoglycan synthesis without causing excessive collagen synthesis. This is how it can rapidly heal wounds while minimizing the build up of scar tissue. Over the long term, this property will also act on the skin to help maintain a youthful appearance. In rats that have been placed in stressful living conditions, gotu kola benefits the adrenals by preventing their enlargement while also limiting excessive corticosteroid production. Yet another one of these great gotu kola facts was found in 1995 when it was found to be capable of successfully destroying cultured tumor cells in a laboratory setting (Journal of Ethnopharmacology, Volume 48, Issue 1, 11th of August 1995, pg. 53-57, article by T. D. Babu, G. Kuttan and J. Padikkala). I personally became fascinated by all of these gotu kola facts after reading some of the folklore and stories surrounding it's use. The great taoist herbalist and Jiulong Baguazhang master Li, Ching Yuen was aware of the wide array of gotu kola benefits. He purportedly lived to be 256 years old and partially attributed his extreme human longevity to consuming an organic tincture of rice wine with gotu kola, wild ginseng (probably the extremely rare, radioactive, heaven grade variety), he shou wu and licorice root on a daily basis, in small amounts. Nanddo Narian, an Indian yogi who lived to be 107, claimed that the main health benefits of gotu kola could be attributed to a unique property found within it. This unknown quality was further researched in Algeria by the French where they discovered a compound that they called "youth vitamin X", which had a particularly tonic action on the ductless glands of the body. Nanddo Narian wasn't aware of these latest scientific gotu kola facts, yet he nevertheless came to the conclusion that gota kola was the finest of all herbal adaptogens (at least out of the all natural herbs available to him at that time in India).